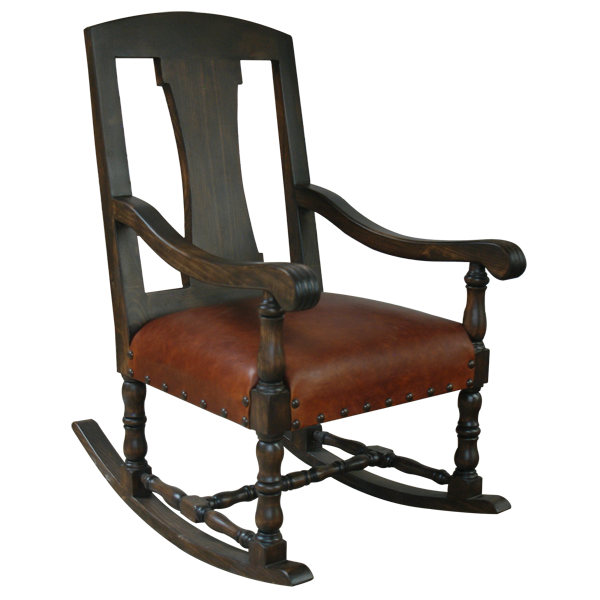 With its timeless design, this handcrafted rocking chair will look great in your living room or bedroom. The chair features a tall seat back, wide seat cushion, and beautifully, curved armrest. The seat cushion is upholstered with red full grain leather. The shield shaped seat back features a lovely, vase shaped splat. 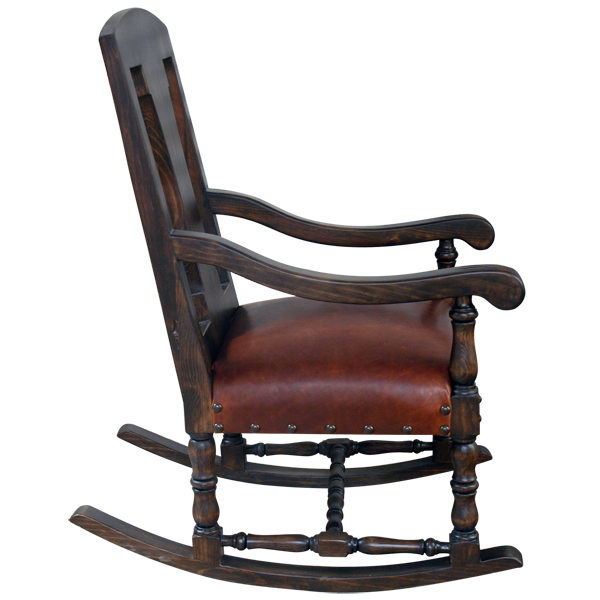 The chair is supported by hand turned legs, joined by a hand turned “H” stretcher. 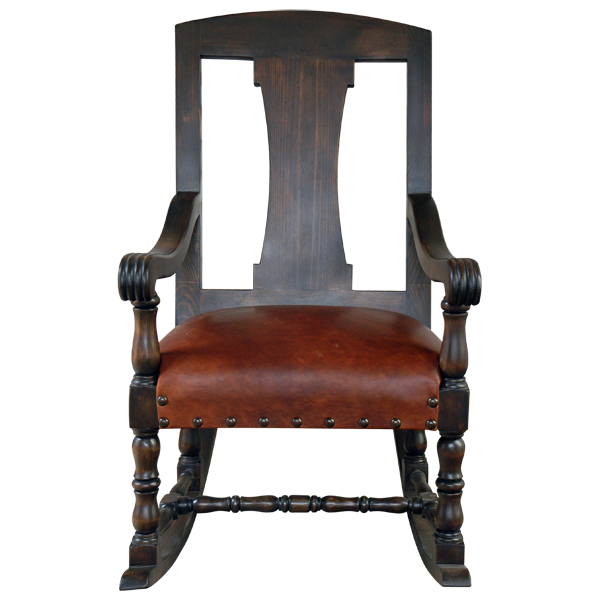 Made by hand with the best, sustainable, solid wood available, this chair is guaranteed for life. 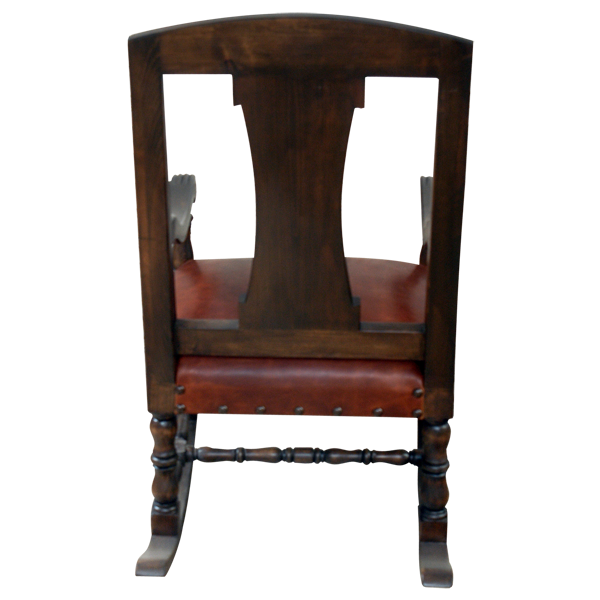 We have a wide variety of stains available, and there are many options for the finish of this chair. The chair is 100% customizable.